Over the last two days, executives from Rikvin spoke at the Offshore Tactics Workshop, upon the invitation of Sovereign Man. 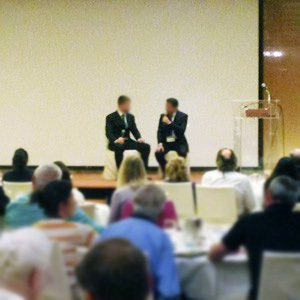 Sovereign Man has organised numerous workshops with guests such as Jim Rogers and Ron Paul. This week’s workshop, which was held at the Regent Hotel in Singapore, was attended by 100 guests who have flown in from all over the world. The talk was followed by a Q&A as well as networking session. Satish Bakhda was also the guest speaker @ The Offshore Tactics Workshop, held in Santiago earlier this year, with the following well known international speakers. Singapore: Global City or Regional Hub?